Joshua Tree National Park is a park in California dedicated to the beautiful, delicate Joshua Tree and the Mojave Desert. If you’re like all sorts of cacti, and boulders, you’re in for a treat. We stayed 4 days in Joshua Tree Park (camping in the BLM north of the park) and took four really great hikes. 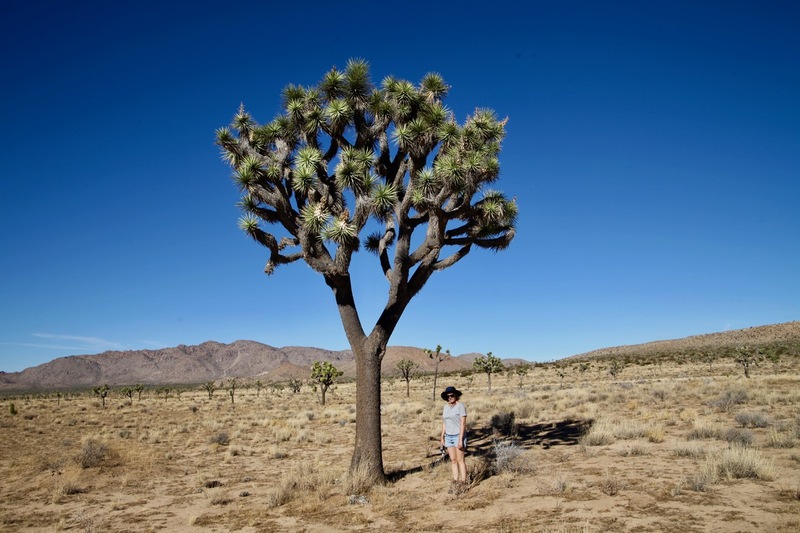 Joshua trees are like humans, they are diverse. Joshua Tree National Park also has boulders of all shapes and sizes. Boulders and Joshua trees! The perfect marriage! Camp for free near Joshua Tree National Park: There’s dispersed camping right next to the park on the road between Yucca Valley and Twentynine Palms. There’s absolutely nothing there besides rocks and it looks very much like Mad Max. Someone stole our Wal-mart camping chair! It is the only time we got something stolen in one year across America, so beware. Eat: There’s a really good diner place in Joshua Tree Village, Crossroads café. Best hikes: Ryan Mountain, 49 Palms Oasis, Lost Horse Mine, Jumbo Rocks.